Until recently, scientists studying multicellular organisms at the cellular level had one big problem: their techniques did not allow them to account for cell-to-cell variation. That’s because the technology required the use of bulk tissue samples and results could only be interpreted as an average of the cells in a sample. But today, due to advances in analytic methods developed over the past 10 years, scientists routinely conduct research of individual cells. 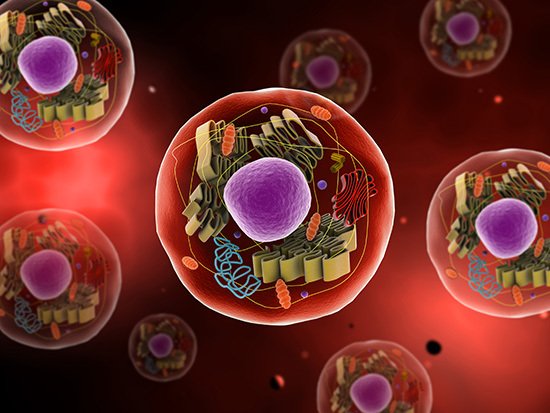 “Single-cell analysis is transforming how scientists study biological systems,” said Alex Shalek, Ph.D., assistant professor of chemistry at MIT’s Institute for Medical Engineering & Science. “The cell is the fundamental unit of biology and, thanks to recent advances, we can now comprehensively profile a cell’s contents, its entire transcriptome,” said Shalek, whose lab focuses on developing innovative technologies. Single-cell analysis is empowering discovery by removing the need to a priori select the most important variables, thus eliminating bias. “I wouldn’t be surprised if single-cell approaches evolve to become the de facto standard for characterizing all biological specimens,” he added. Currently, single-cell DNA sequencing (scDNA-seq) is not as easy to perform as scRNA-seq. That’s because a single cell can have hundreds of copies of a particular gene, while DNA only has two copies (one from each chromosome). Yet while scDNA-seq is in its infancy, scRNA-seq is in its adolescence, with multiple companies coming to market with technologies designed to create libraries for scRNA-seq (see sidebar, page 29). Employing these, researchers can now prepare sequencing libraries of thousands or tens of thousands of cells. Leveraging scRNA-seq, researchers are addressing previously intractable problems, including characterizing the evolution of cancer and the attributes of tumor cells that cause therapeutic resistance, revealing the complexity of the nervous system, and honing the genes that allow a parasite to cause disease.